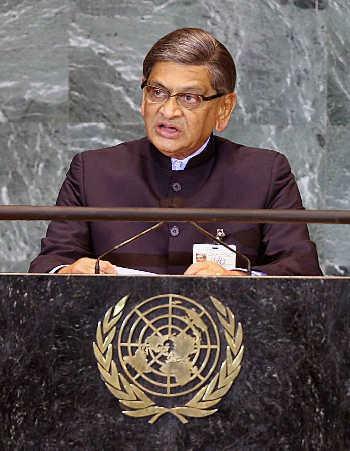 In the aadress to the United Nations General Assembly, External Affairs Minister S M Krishna on Saturday urged the world community to urgently bring to justice the perpetrators and supporters of terrorist attack against innocent civilians of Mumbai late last year. 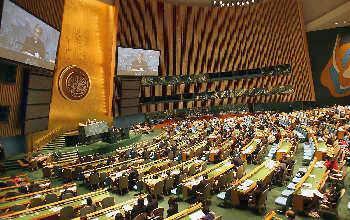 Without naming Pakistan, whose official agencies have been accused by New Delhi of backing the "barbaric" attack, Krishna told members of the United Nations General Assembly that the attack reminds the international community of the "daily and malignant menace" that terrorism poses to all countries. Noting that there cannot be any justification for the mindless terrorist attack on innocent people, he said, "It is our collective responsibility and duty to work together to ensure that terrorists, organisers, perpetrators and supporters of such crimes are brought to justice." The minister said to strengthen the international legal framework of the fight against terrorism, India had proposed a Comprehensive Convention on International Terrorism. "Discussions on the draft have gone on for far too long. It is time that the Convention be finally adopted. India earnestly calls upon all countries to make serious efforts in the next few weeks to arrive at a consensus on the text," Krishna said. "There is a new beginning in Sri Lanka; in Nepal strengthening the peace process is in our collective interest; and in Afghanistan, the international community must remain intensively engaged and support its development efforts and the maintenance of peace and stability," Krishna said. "India is committed to establishing good neighborly relations and resolving all outstanding issues with Pakistan through peaceful dialogue," Krishna said. 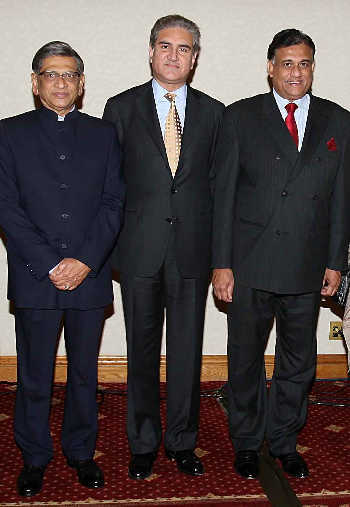 But more than terrorism and regional issues, Krishna's address was devoted to a large extent to issues such as the reform and expansion of the UN Security Council, the current economic crisis and global economic growth as well as the climate change which he described as one of the most important global challenges of today. 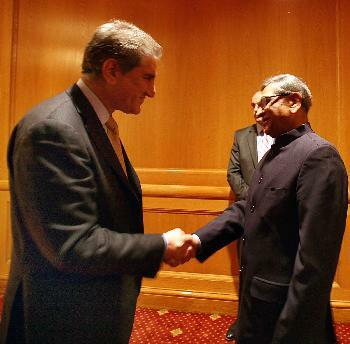 Krishna had a friendly chat with his Pakistani counterpart Shah Mahmood Qureshi on the sidelines of the informal working dinner of SAARC Foreign Ministers. 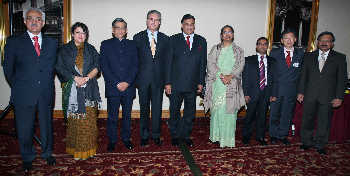 The 'Informal Ministerial and Working Dinner for SAARC Council of Ministers' was hosted by Sri Lankan Foreign Minister Rohitha Bogoallagama, last night in his capacity as the SAARC chairperson.